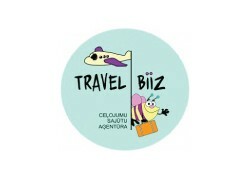 Travel agency „Travel Biiz” is a tourism company from Latvia. We offer excursions and trips around Riga, Latvia and to neighboring countries – Estonia, Lithuania. We will offer to you an interesting way to explore the Latvia - our culture and traditions. Our target is to transform each excursion into a nice journey.